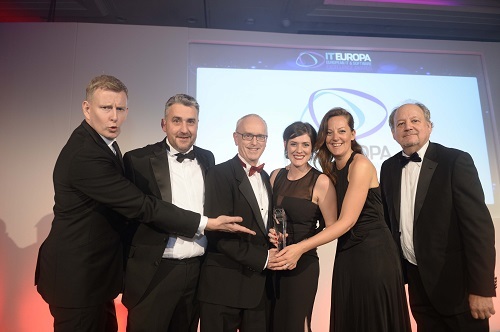 IT Europa, the leading European IT publisher and market intelligence organisation, has announced the winners of the European IT & Software Excellence Awards 2016 - the pan-European awards event for ISVs, Solution Providers and Systems Integrators and their vendor and distributor partners. The finalists were honoured at a celebration dinner at the London Lancaster Hotel. More pics here. In their eighth year, the European IT & Software Excellence Awards attracted over 400 entries from more than 31 countries. A number of entries demonstrated how carefully the industry has been listening to its customers and building solutions that really do make a difference. The winners ranged from a low maintenance self-service web portal which became the standard national online platform for collecting structured data across all UK schools to a consultant's global mobile management system and a taxi service system in Paris. Winners were chosen from 86 finalists who representing 21 countries.